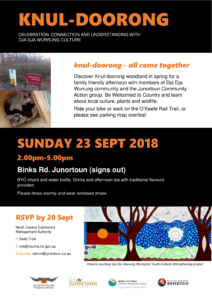 Discover Knul-doorong woodland in spring for a family friendly afternoon with members of Dja Dja Wurrung community and the Junortoun Community Action Group. Be Welcomed to Country and learn about local culture, plants and wildlife. All residents and community members welcome. Ride your bike or walk on the O’Keefe Rail Trail, or refer to parking map. 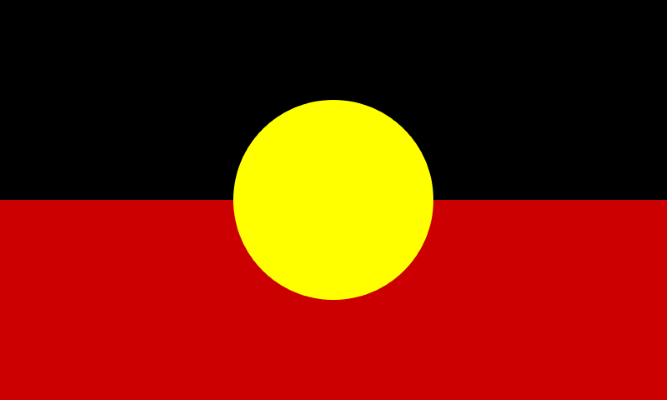 Presented in partnership by the Dja Dja Wurrung people and Dja Dja Wurrung Clans Aboriginal Corporation. With funding support from North Central Catchment Management Authority and the City of Greater Bendigo. 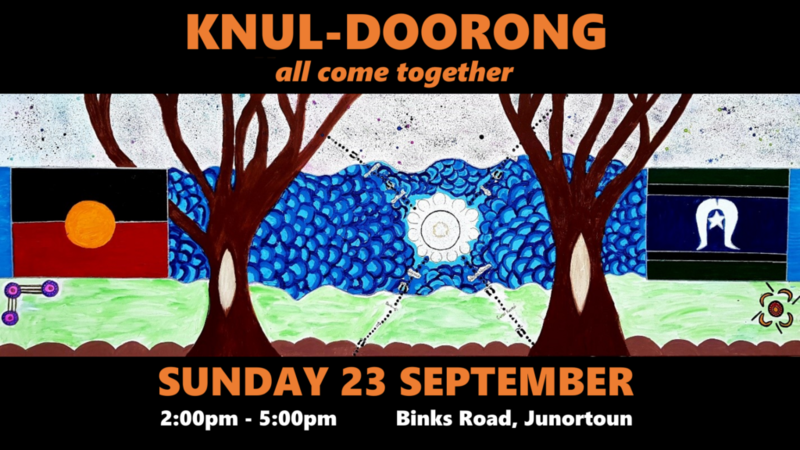 The Junortoun Community Action Group acknowledges the Dja Dja Wurrung as the Traditional Custodians of the land and pays respect to their Elders and ancestors.